The woman accusing a man of kidnapping, torturing and urinating on her, is now facing a filing false report charge. 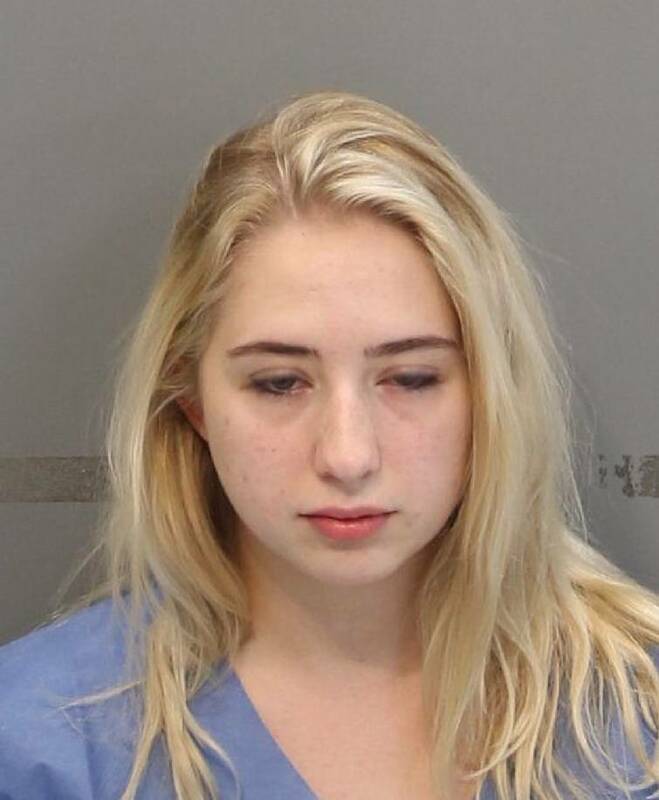 Kristen Pollis, 22, is accused of fabricating the Jan. 17 incident in which she made a "heinous" series of allegations against Michael Wilson, Jr.
At the time, she told police Wilson broke into her unlocked apartment at around 5 a.m., woke her up and started yelling and physically assaulting her before kidnapping her. She said he took her to a home in the 5200 block of Mountain Wood Lane where he continued to physically assault her and urinate on her. At one point, she said he "carved an upside down cross on his chest with a box cutter," a criminal affidavit against Pollis states. Pollis said she tried to escape by running to a neighbor's house and banging on the door, but Wilson allegedly caught her and carried her back inside the home. She was finally able to escape after Wilson "passed out drunk," court records state. Officers arrested Wilson based on having smelled urine on Pollis, leading them to believe there was probable cause, according to court records. But upon further investigation, police found inconsistencies in Pollis' story. First, the neighbor whose door she claimed to have banged on, "emphatically" states he was home during the entire time of the alleged incidents and "nobody was screaming or beating on his door," court records show. Second, police found no scarring or injuries consistent with him having carved an upside down cross on his chest, court records state. Then, investigators obtained Pollis' medical records for an emergency room visit on Jan. 19, and only found evidence for one injury: a broken rib, which they say is "inconsistent with the description of the assault she described," according to court records. Lastly, police obtained copies of Instagram messages between Pollis and Wilson in which the two discuss consensual sexual urination, and Pollis "expressed enthusiasm for trying it out," court records show. On Jan. 13, investigators say, Pollis threatened Wilson on social media after she became "jealous and angry" with him for having sexual contact with other women. "I'M F — — YOUR WHOLE WORLD UP TODAY," she wrote to him, according to court records. "You're not going to hurt me without being burned again sorry [sic]." On the morning of Jan. 17, Pollis sent Wilson a message at 5:32 a.m., allegedly inviting him to her home, court records show. At 5:41 a.m., Wilson "responded that he was coming over." Despite the new evidence, however, Wilson remains in the Hamilton County Jail on a $150,000 bond, according to online jail records. His charges remain the same: kidnapping, aggravated domestic assault and aggravated burglary, online court records show. Wilson pleaded guilty to domestic assault involving Pollis in 2017. Pollis was arrested on March 20 and charged with false reports. Her bond was set at $2,000, according to court records. She has since posted bond, online jail records show.